Just as you would exercise any other muscle in your body, it is also important to strengthen your eyes. Strengthening of eye muscles can improve eye sight and is good for relaxation after long periods of working on a computer or reading. Visit www.wikihow.com/Exercise-Your-Eyes for a list of eye exercises to add to your eye care routine. Infections are one of the worst enemies of healthy eyes. If you wear contact lenses, wash your hands with warm water and soap to avoid any infections when working in and around your eyes. Wearing safety goggles when doing DIY in and around the house or mowing the lawn is extremely important and should be part of your eye care best practices. Safety goggles are fairly inexpensive and an effective way of safeguarding your eyes from foreign objects entering. 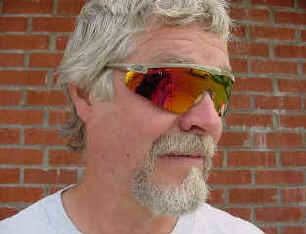 Wearing protective glasses during sport is advisable. In certain ball sports, the ball can travel at very high speeds, leaving the eyes vulnerable. Do not rub your eyes when you suspect there is a foreign object inside, as this may cause damage to the surface of the eye. Instead, pull your upper eyelid over your lower eyelid and allow the lower eyelid lashes to remove the particle. The object will also cause tearing and will aid in removing the particle. Should you have trouble removing the particle this way, gently rinse the eye with clean water. Should this not be successful, consult a medical professional. DO NOT attempt to remove the object or particle yourself, this may cause serious damage. Accidents can be another menance to healthy eyes. If physical trauma, such as a black eye, occurs, apply a cold compress, without adding pressure. This should help the swelling go down. 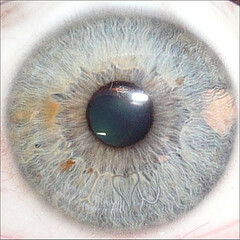 Consult a medical practitioner if there is any discoloration of the eye. Chemicals too can be a menace to healthy eyes. In the event of chemical splashes into the eye, rinse the eye with clean water immediately, cover the eye with a damp cloth and seek medical attention immediately. In order to keep your eyes healthy, do not share make-up such as eyeliners and mascara as this can transfer bacteria and cause eye infections. When reading, working on the computer or watching television, make sure you take regular breaks to rest your eyes and work or read under sufficient lighting. Reading or working in the dark causes strain on the eyes and may cause damage. Stop smoking or don’t start. Smoke irritates the eyes and can cause dry eye syndrome. It has been said that most people fear losing their eyesight more than any other sense. Taking good care of your eyes will leave your bright eyed for years to come.